The town of Ubud is surrounded by lush paddy fields and scattered with Hindu shrines and temples. So why not learn about the culture of food in Bali’s paragon of culture and history? 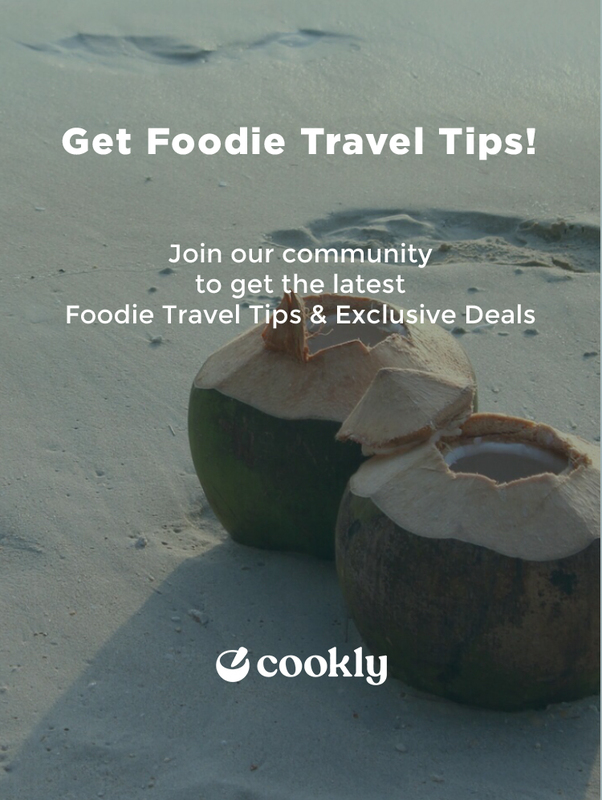 Learn how to cook authentic Balinese food, where in most of our cooking classes you will be able to go to a local market to pick out your ingredients for your cooking. With a surfeit of vegetation in Ubud, we also offer vegetarian and vegan cooking classes, where you will be able to pick your own vegetables on an organic farm. Would definitely recommend for anyone wanting to see the real Bali and get their hands dirty! The markets were fascinating and our guide explained everything to us. We loved walking through the fields to the kitchen and picking ingredients for the food we would make. And the vegetarian dishes we made were so delicious. We learnt so much and really enjoyed ourselves! This was such great value because the pick up and drop off were all included in the price so all we had to do was sit back and enjoy. Thank you so much! This cooking class was such a fun experience. Starting at the market we got to taste all the local sweets and fruits -watch out, dont eat to much other wise you are to stuffed for all the delicious food that will come after- Being in a group with 5 we had plenty of personal contact with our kind guide. The organic farm was a dream, and the cooking place so nicely situated within the farm. It was great to pick your own veggies, the meal we made were so tasty and the staff so kind. I can recommend this day out to everyone! From visting the market to eating our creations the whole experience exceeded our expectations. We learnt so much from Nyoman, very informative tour of the local market, shared his exceptional knowledge of the ingredients and the health benefits and then fun cooking class with his Aunt as assistant. The location which his family have been sharing for over 200 years was an amazing space, they literally grow most of the vegetables there. Highly recommended. The Class was well orginazed, perfect . He was fun and the whole family was friendly and helpful. I wholuld defenetly recomend and do it all over again. "Best cooking class I have ever taken!" Ever wonder how life is behind those walls with all the small temples? You will experience it here. The family is here for generations. 42 people from the same family. Aunties help and you will see first hand how it all works. And get an excellent meal with an entertaining Mr. Black chef. I can't recommend it enough! Great cooking class, the tour of the market and farm was a lot of fun and very interesting. We got to make a good variety of interesting and very tasty Balinese dishes. We had so much food that we even got to take some home! Derek, our guide was excellent. "Me and my sister had the most amazing day. We would highly recommend to anyone who has a love for fresh, tasty, traditional Balinese food." "It was great! A really fun experience!" We began the day with going to the market, where we tasted a lot of fruit. Many of the fruit we tasted was totally new to me and they told us about it too, so it was very interesting. After that we got to see their farm, and pick ingredients that we would cook later. They also told us some information about the things they farmed. It was a beautiful farm! The cooking class was very fun! They told us and helped us cook the food. They had a really happy mood, and thats a plus! The cost is very good for everything you get. It includes all of the above and also transport. So the money is really worth it. A really fun experience, I would definitely do it again! We had such an amazing day! The enthusiasm of the chef put a smile on everyone’s face. The inside peak into a real Balinese family’s home was definitely something else. An unexpected, beautiful addition to the cooking class. And OMG the food was so tasty! Easy to prepare and very well explained. We even know all the health benefits to the ingredients now :). Highly recommended, pls everyone go!!! A wonderful small class of 6 people with a knowledgeable and entertaining instructor. Market visit was interesting and allowed the opportunity to purchase some items for home use. Excellent description of cooking techniques and uses of ingredients once we cooked at home. Cultural practices and lifestyle info added greatly to the presentation. "INCREDIBLE - a must while in Bali." We can’t say enough about this cooking class or the staff or Adi & Frances. Such an enjoyable day learning and laughing. If you want a fun, encouraging, educational class - this is your go to. We will be coming back to Bali specifically to see them again. What an experience! Don’t miss out! Host & Family! The staff made everyone felt at home. The whole experience was more enjoyable than i had expected. Should definitely include this in the itinerary for any Ubud trip. The little visit to the garden was a great experience, I really enjoyed picking up all the herbs for the cooking. About the recipes and teaching, everything was great. I chose the vegan/vegetarian menu which was amazing. Thank you so much for this experience! "Welcoming, authentic and professional experience"
The organic farm is a peaceful heaven in the mountains, picking our greens for the dishes ourselves was beautiful. Our hosts shared their deep knowledge about the food culture in Bali, teaching us many words and tricks. The cooking experience was great, very well prepared but we still had the chance to do everything ourselves. Thank you very much for this beautiful day! Loved the experience or going to the farm, picking my own veggies, and cooking them. The food was delicious! Be ready to eat A lot! Really lovely quaint farm decently out of the way of Ubud to avoid the main tourist traps. All the staff were incredibly kind people and the food was so delicious, would highly recommend if wanting to do a cooking class in Bali. Being a chef, I was concerned that I wasn’t going to be engaged or challenged enough, but the whole day was brilliant, walking around the farm was informative, a chilled out day, with amazing hosts who were awesome to spend the afternoon with while coaching everybody through the various dishes. 5* and I would give a massive 100% must do, very fond memories. cheers guys.